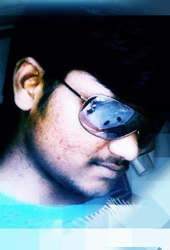 Hi this is SOORYAH PRAKASH ...actually my full name is T V N S PRAKASA RAO.,.SOORYAH PRAKASH is MY SCREEN NAME. I completed ENGINEERING and living in VISAKHAPATNAM.. I am passionate about film making....and willing to present you an upgraded short films with my team and production home "WILDFOX ENTERTAINMENTS" ..... IN ONE LINE " I want to show my dreams as your world,"